İş Bank Atatürk FIDE Women Grand Prix ended with the closing ceremony held on the 41st floor of İş Bank tower with the participating of Sports Minister of Turkey Murat Başesgioğlu, Deputy President of FIDE Georgios Makropoulos, CEO of İş Bank Ersin Özince, President of the Board of İş Bank Caner Özbiçer, FIDE Presidential Board and TCF Board members with many journalists. The players received their awards and prizes. 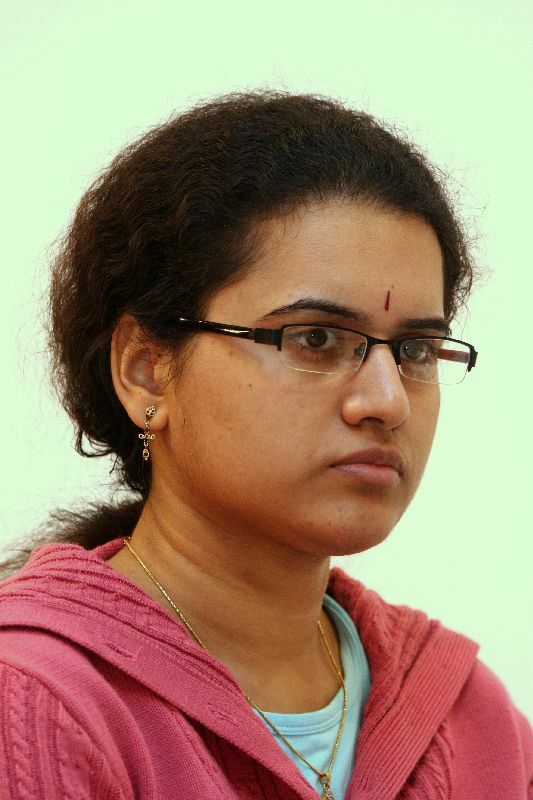 The Winner GM Humpy Koneru on Her Victory: "I could not really play up to my level"
"First two rounds the way I played was very good. Just missed 2-3 move combination starting with the third game. Once I lost to Hou Yifan I lost my hope to win the title. I just wanted to play some good games. Overall I could not really play up to my level." The only title norm achieved in İstanbul İş Bank Atatürk FIDE Women Grand Prix was by International Elina Danielian who shared 2-3.places with 8 out of 11. She scored her second GM norm in her carerr with a performance of 2655. She also gained 23 ELO rating from the tournament which means she is probably going to be back over the 2500 threshold soon. Congratulations! 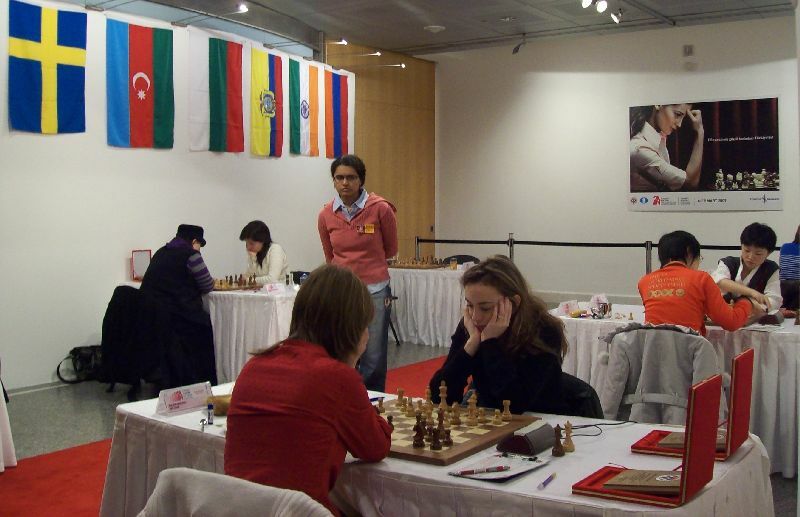 In the last round of İstanbul Women Grand Prix, Humpy Koneru won against Marie Sebag while Hou Yifan faltered against Shen Yang. 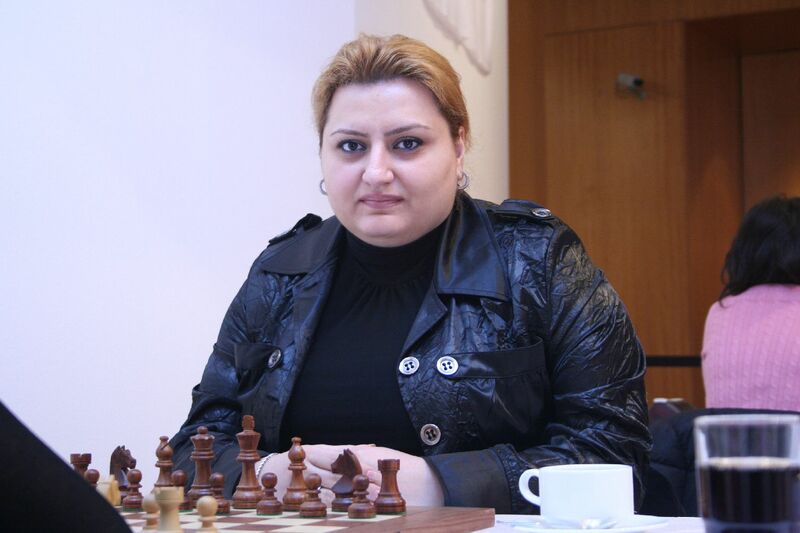 Elina Danielian scored an important victory and outplayed Xue Zhao to take the second spot. Martha Fierro won against Maia Chiburdanidze while Pia Cramling closed the tournament with a win against Antoaneta Stefanova. Zeinab Mamedyarova and Betül Cemre Yıldız drew. The leader changed for the third time and Humpy Koneru won İş Bank Atatürk FIDE Women Grand Prix with 8.5 out of 11. Elina Danielian took the second place with better tie-break having 8 points while Hou Yifan took the third place. Detailed last round report below.